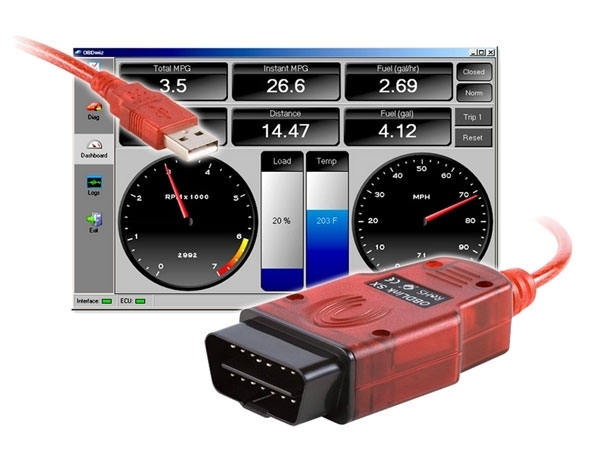 OBDLink® SX quickly and accurately diagnoses engine problems and accesses performance parameters for all OBD-II compliant vehicles (except hybrid or electric vehicles). Use the free OBDwiz software on any CarPC and you have a sophisticated, easy-to-use diagnostic system — for a small fraction of the cost of comparable standalone units! Premium diagnostic software, such as ScanXL and ScanMaster, offers a myriad of additional features including Dynometer, multi-language support, and data manipulation tools. ScanXL’s Enhanced Diagnostics Add-ons offer support for thousands of enhanced manufacturer-specific parameters, as well as ABS and other proprietary systems. Copyright © 2019 E3iO Computers. All rights reserved.